We usually deal with phone calls and answer phone messages in the early evening when we can catch most people in. 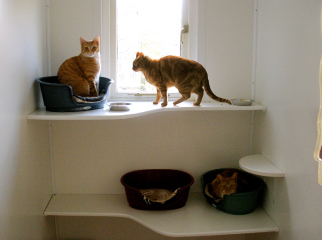 1 cat per pen per day is £8.00 with the day of arrival and the day of departure counted as two separate days. We reserve the right to charge a cancellation fee if seven days notice has not been received.